…but if you do, know that I’m going to tell the truth. 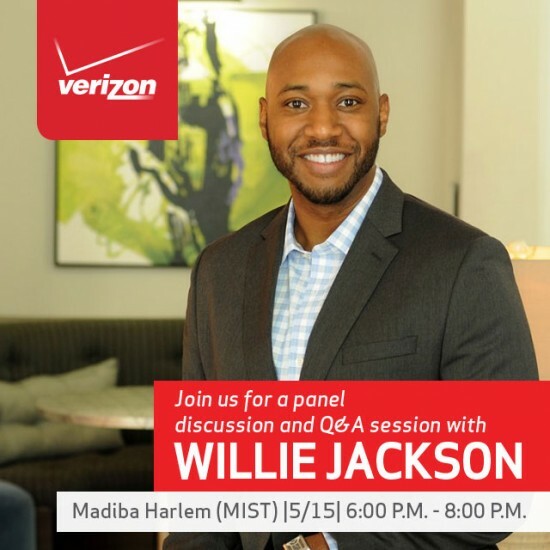 This Friday in New York (in my very own Harlem, no less), I’ll be sitting on a panel as a part of Verizon’s Potential Of Us campaign. The event is called “The Big Payoff” and in addition to the panel, there will be live performances along with a meet and greet with the artists. The other panelists (Michelle Nance, Noelle Llewellyn, Ryan Cross, RoseGold, Haithem Elembaby and Vy Higginsen) are way cooler than me, but I doubt they’re funnier (or more modest). The panel will be moderated by my namesake Kwame Jackson (of NBC Apprentice fame). I’m probably most excited about the Melanie Fiona performance for reasons related to my gender and relationship status and sexual orientation and taste in women, but there are a number of other artists who will be “rocking the house” as the kids say. Aside from the fact that it’s an honor to be asked to speak, I’m excited about meeting people and shamelessly plugging Abernathy to everyone within an earshot. The event is free when you RSVP thanks to Verizon, and you can do so here. PS There’s a nice guy that I’ve been coordinating with for logistics who will be very disappointed with me if I don’t include this graphic in the post. PPS I know you might not be able to make it, but maybe pass the link on to someone who can? Don’t be a blessing blocker.